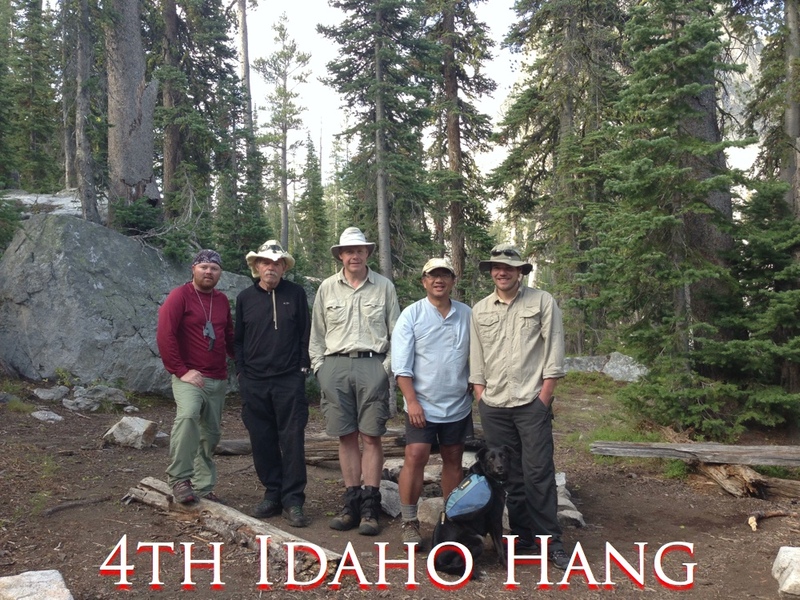 The 4th Idaho Hang is coming. 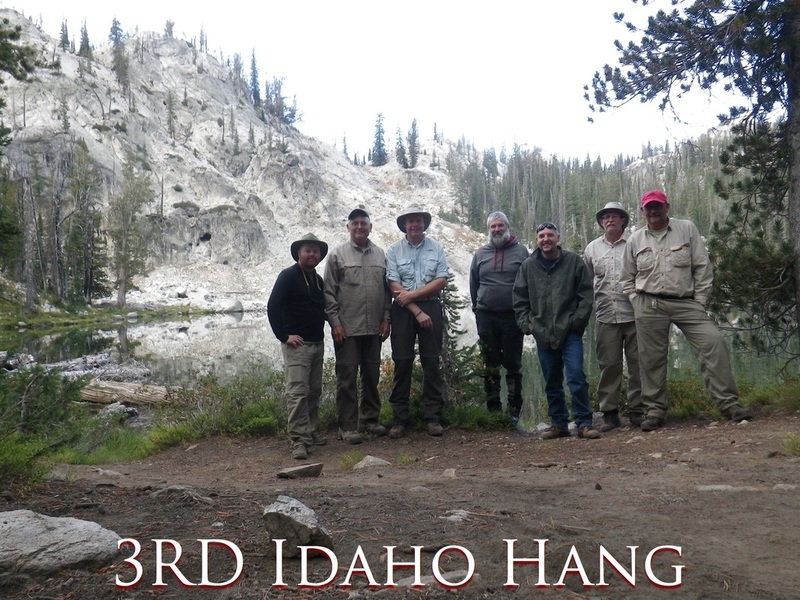 Join us for the 6th annual Idaho Hang in the amazing Sawtooth Mountains of central Idaho. We will be getting hammock hangers together from all over the U.S. to hang out, enjoy some great meals together, and backpack into some awe-inspiring country. 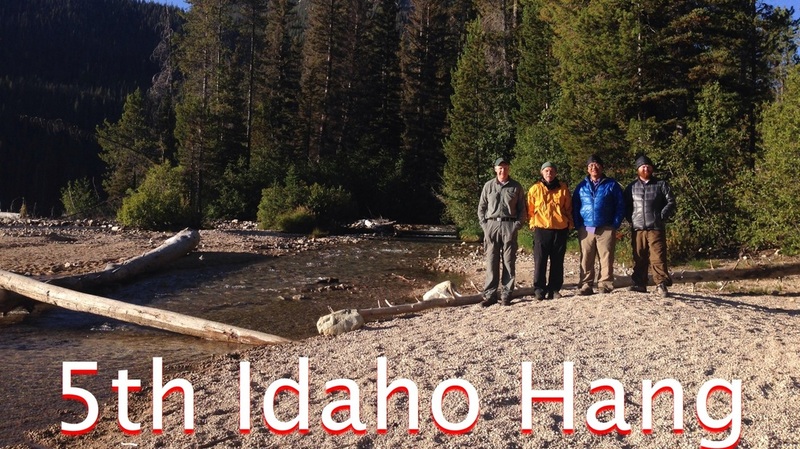 We will be meeting in the Sawtooth valley September 2015. Weather permitting we will be hiking into the wilderness area of the Sawtooths for several days of hiking and hanging. The First annual Hang in 2010 was an amazing time, only equaled by the second, third, fourth and fifth. We have had everything from 70's to low 20's, rain snow and sun, power outages at the restaurant we stopped at for breakfast. We caught fish in the lakes and lounged around the fire. This year again promises to be an event not to be missed. For further details Please fill out the RSVP Form below. We will meet up Sunday, September 13th at RedFish Lodge for Dinner and drinks at the lodge. This is an easy to find meeting place with great food and makes for a central location to get the group together. After dinner we will head a few miles south to our camping spot along the Salmon River. 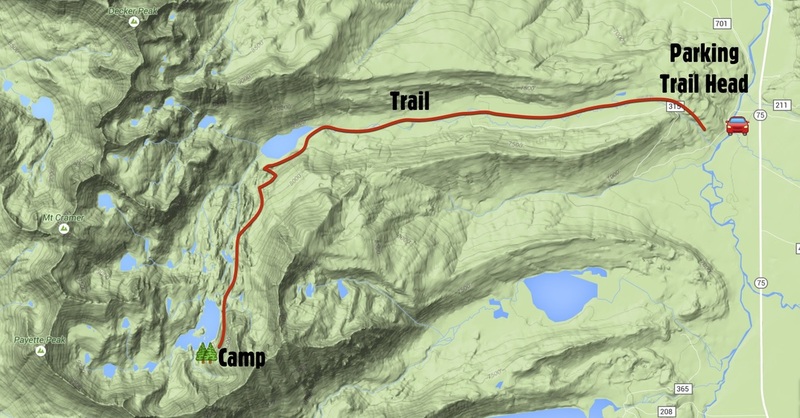 The camp is very close to our planned trail head that we will be hiking out from early Monday the 14th. Monday will be broken into 2 parts. First is a 5 mile hike up easy trail to Hell Roaring Lake. On the banks of the lake we will take a good break and have lunch. After lunch we will start the second half of the day's hike. Hiking up from Hell Roaring lake about 5 miles to Imogene lake. Imogene will serve as basecamp for the rest of the week. 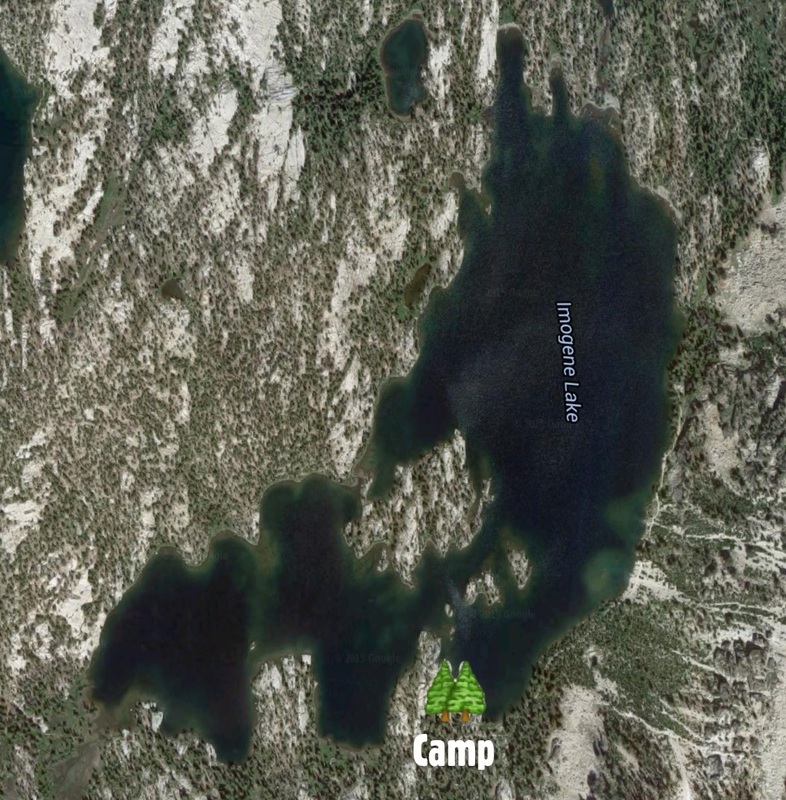 Our planned campsite is on the southeast end of the lake in a protected cove. We will spend the week hanging out around Imogene, hiking to area lakes to fish, bagging nearby peaks, and enjoying the area any way everyone feels like. Counting Imogene there are at least 8 fishable lakes within 2 miles of camp. Payette Peak at 10,174' is a reasonable day hike from camp. Saturday we will pack up and hike out. Burgers will be at Smiley Creek Lodge at the south end of the valley after we make it back to vehicles at the trail head. 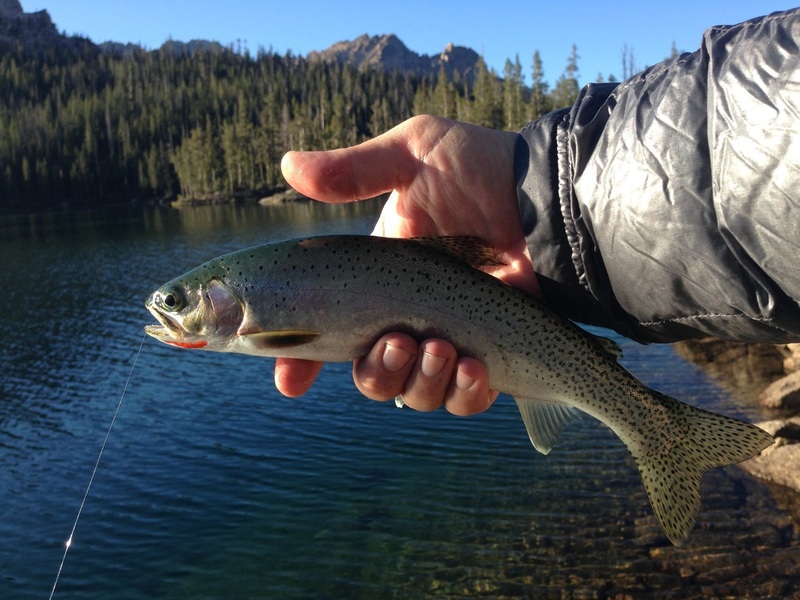 Imogene Lake is one of the most scenic lakes in the Sawtooths with several rocky islands, surrounded by granite slabs and full of large fish. Anticipated low temps will hover close to 20F, highs will be in the 70's to lower 80's. There is a chance of Rain and Snow, though both are likely to be short lived. The night of the 13th will likely be the coldest as cool air settles into the valleys, while the hike nights will be warmer at the higher elevations. We will be at or above 8500' elevation for a portion of the hike. Come Prepared. 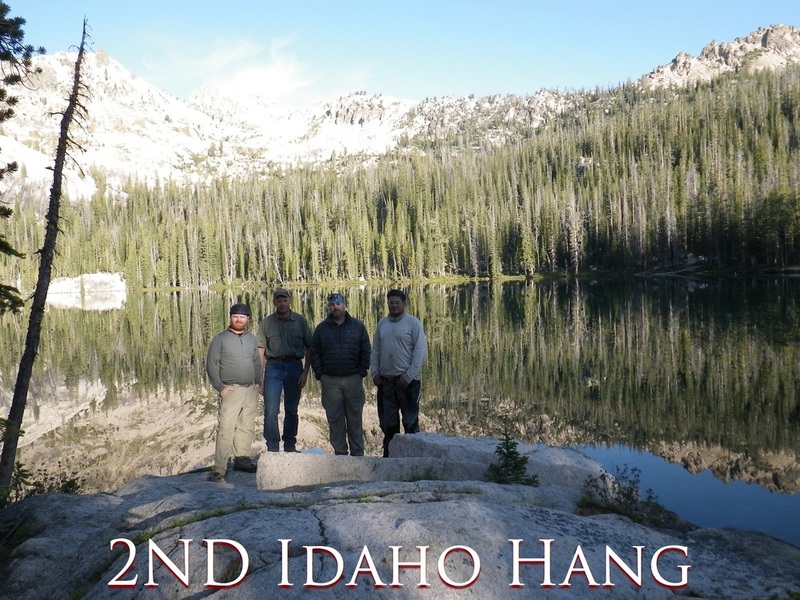 While the Idaho hang is about fun it will be work this year as well. In the Sawtooths the difficulty per mile makes up for the distance. Come Prepared. This is how much of the scenery in the Sawtooths looks. Enjoy the preview. 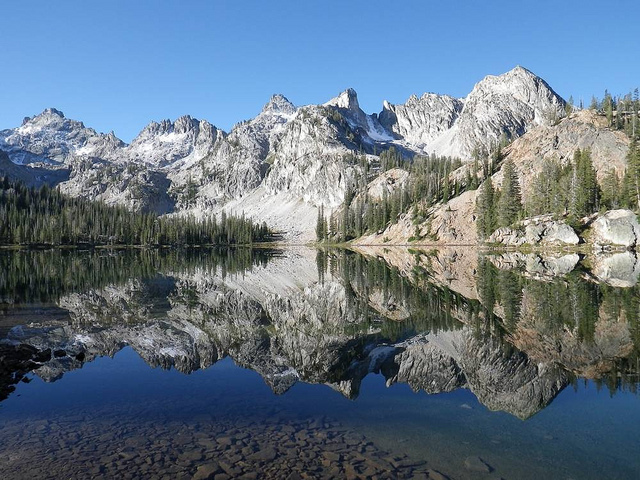 To learn all about the Sawtooth Mountains and backpacking in them check out our Backpacking Guide! Updated 3/1/2015: I have added 5 more pages, 2 more maps, dozens of more photos and a lot more info about the Sawtooths. Updated 10/15/18 with updated links and revised info to current conditions. 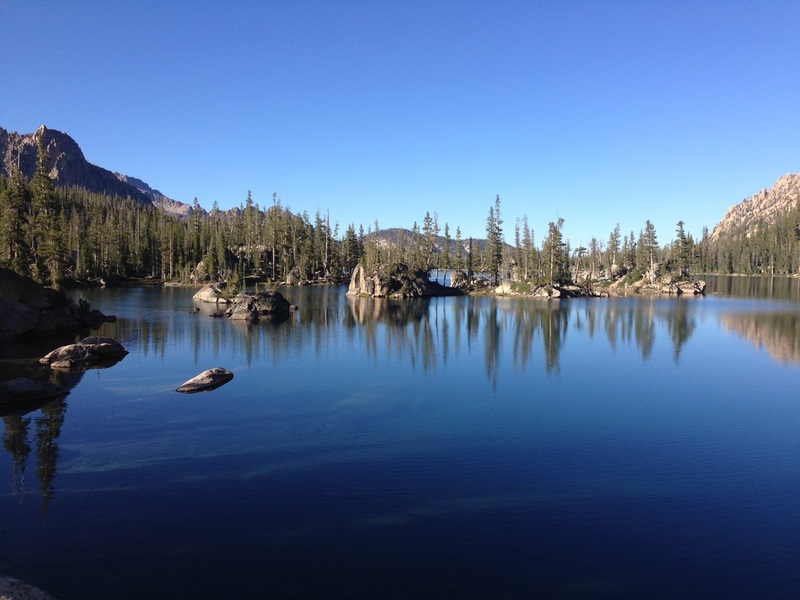 This is a short reference guide that I wrote to cover many common topics and questions that we frequently get about backpacking in the Sawtooths...Our Backyard and favorite area to backpack in. I cover topics like, where to eat, weather patterns, fishing, as well as route suggestions. This is a primer on the Sawtooths and you should still get a guidebook to cover further details and the trails themselves. But this will get you started and give you some details that are not in the guidebooks. Check out the preview of the first few pages at right. We will email occasional updates as plans continue to develop as well as reminders of the upcoming hang in the months and weeks leading up to the hang. 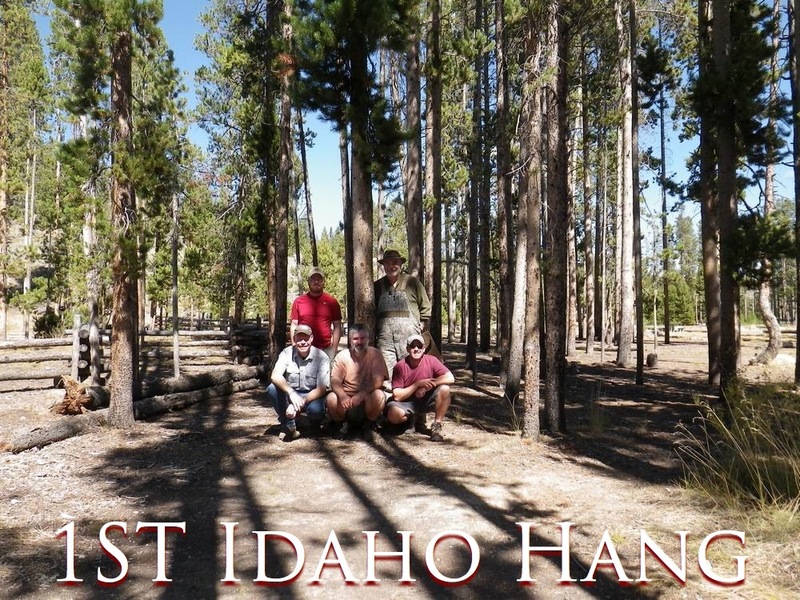 Will You be here for the 6th Idaho Hang?